Blogging a little at a time! : Happy Birthday Father-In-Law!! Ok, had to blog today! I want to send out a BIG HAPPY BIRTHDAY to you DAD!! 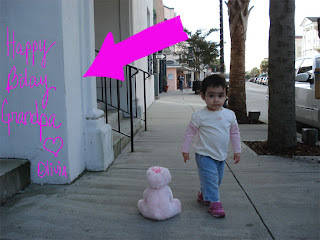 And here is a gift from Olivia (see picture below).